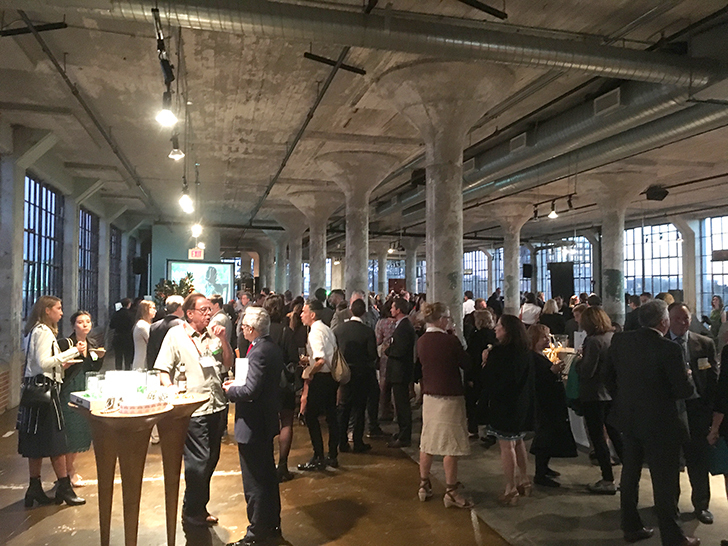 This past October, more than 300 people gathered at the Union Square Building in High Point, North Carolina to celebrate the 10th anniversary of the Sustainable Furnishings Council (SFC), an organization we’ve been a founding member of since its creation in 2006. 10th-anniversary celebration on the top floor of the Union Square Building in High Point, North Carolina. Steve Freeman presents at the SFC celebration. 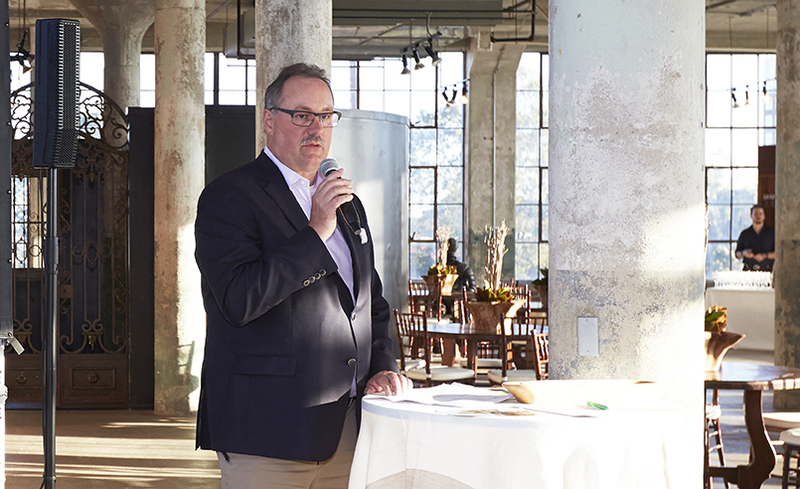 To learn more about the organization, we chatted with Steve Freeman, Vendor Resource Manager at Room & Board and President of the SFC Board of Directors. What is the Sustainable Furnishings Council? The SFC is manufacturers, retailers and designers. It dedicates raising awareness and expanding the adoption of environmentally sustainable practices across the home furnishings industry. How did Room & Board get involved? As a company, we’ve always had sustainability and the environment as a focus and concern. The idea of the council came to fruition after working closely with Jeronimo Cooklin. Jeronimo had a passion for raising environmental awareness and getting the furnishings industry as a whole to pay attention. After attending a conference, we helped put together the framework for the SFC and eventually got it off the ground. The official announcement to the industry was in October 2006 in High Point, North Carolina. We did it in the same room we celebrated our 10th anniversary. What do see for the future of SFC? Thanks to the leadership of SFC’s Executive Director Susan Inglis and the Board of Directors, the SFC has made a significant impact within the home furnishings industry. Promoting and encouraging sustainable practices, as well as healthier products for our homes and our planet. We have well positioned ourselves for a future that includes more strategic partnerships, healthy home initiatives, environmentally focused legislation and consumer education. Room & Board looks forward to supporting this organization well into the future.